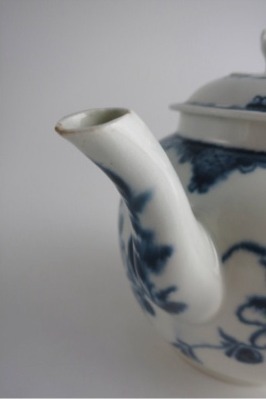 A delightful early First Period ('Dr. 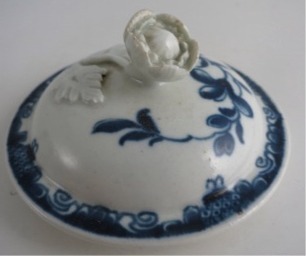 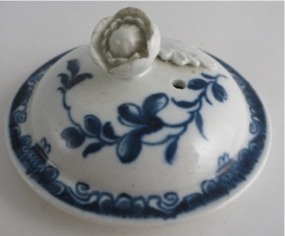 Wall period') Worcester Teapot and Cover with Flower Finial. 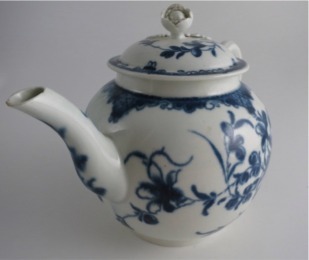 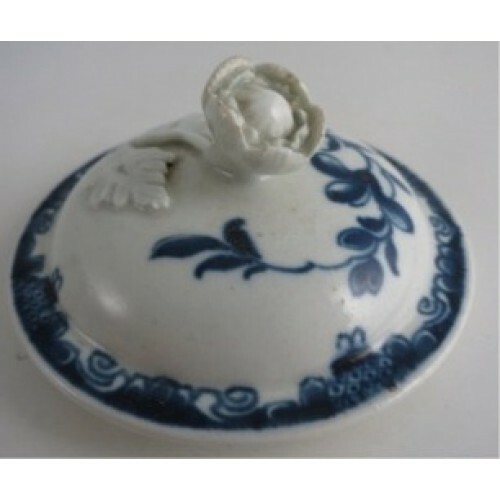 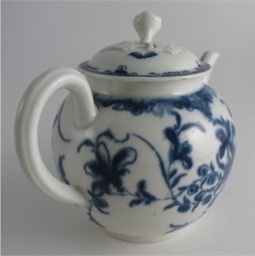 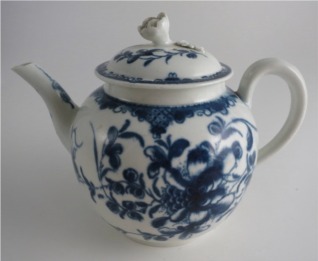 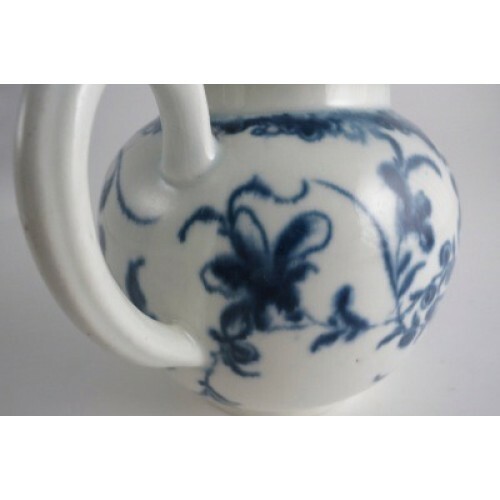 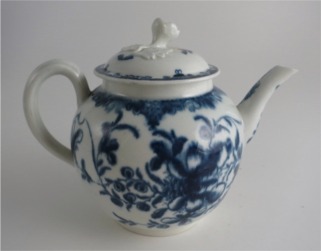 It is painted in underglaze blue with the pattern known as the 'Mansfield Pattern', c1765-75. 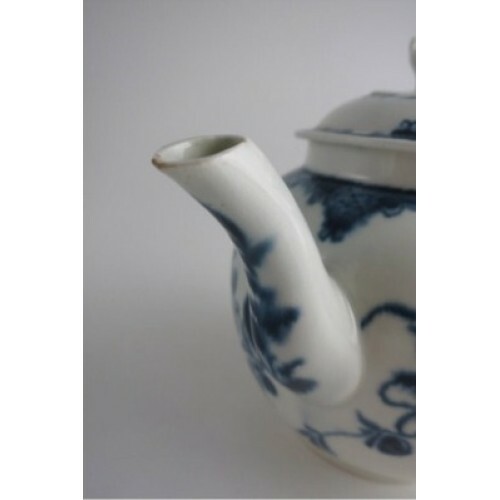 The Teapot is of plain globular shape on a raised circular foot rim and has a moulded loop handle and well balanced pouring spout. The Teapot has the 'Mansfield' loose floral decoration painted underglaze on both sides of the body in blue. 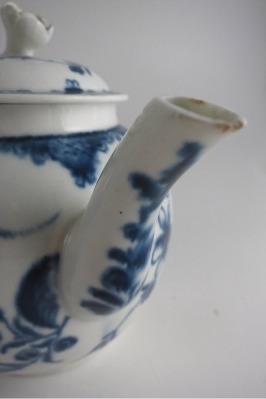 The shoulder of the Teapot has a blue decorative border as does the rim of the cover. 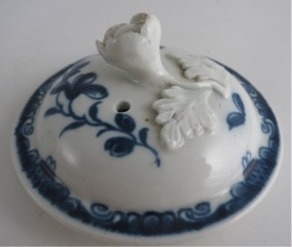 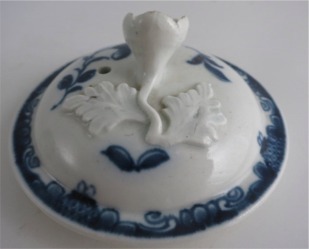 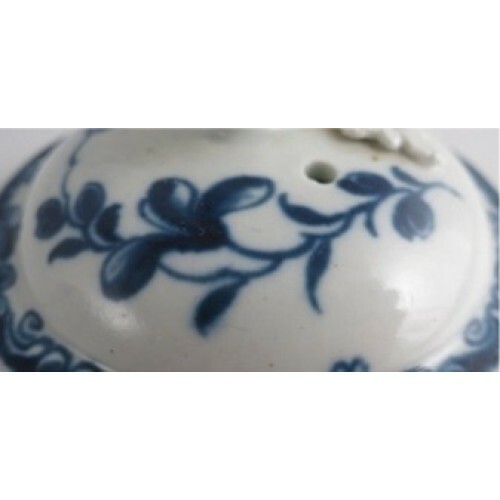 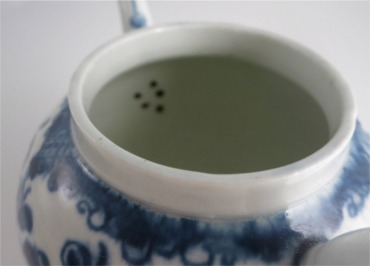 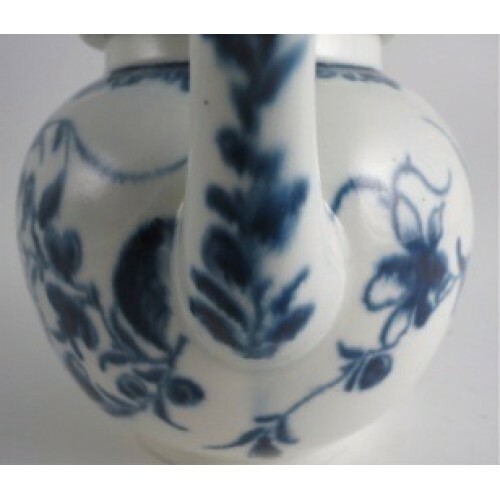 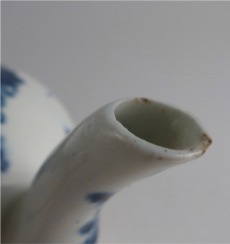 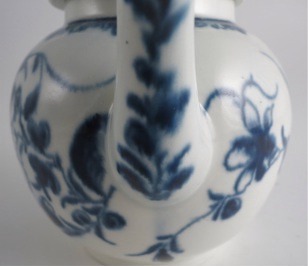 The elegantly shaped spout, is also decorated with underglaze blue foliage to the front underside and also to the top side of the spout. 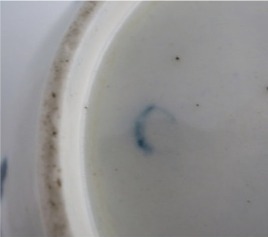 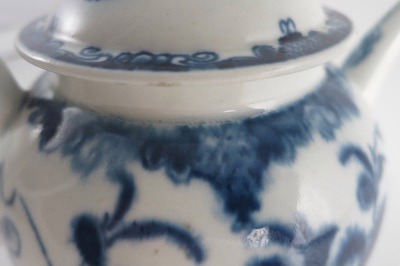 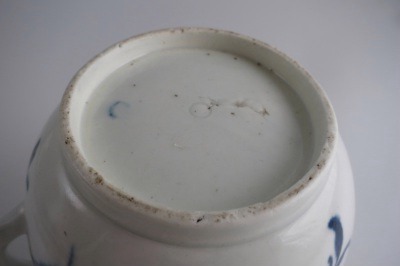 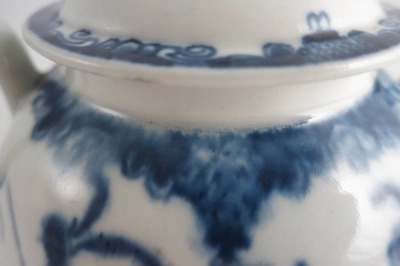 The underside of the Teapot is marked with the underglaze blue open crescent mark of the famous early Worcester factory. 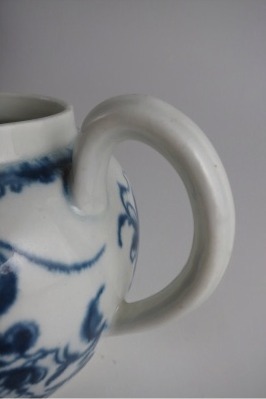 The crescent mark was used at the Worcester factory between 1755-90. 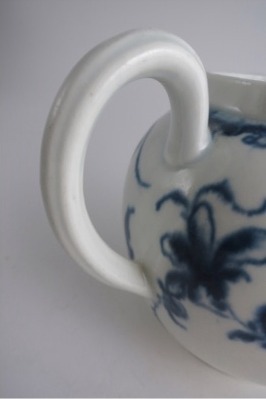 There is a typical Worcester moulded open loop handle. 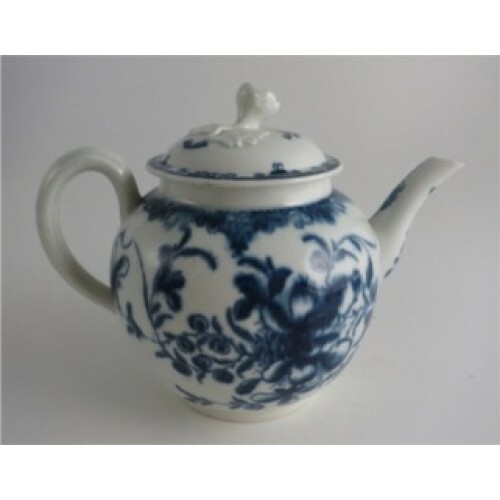 The pretty cover of the Teapot has the same 'Mansfield' pattern blue decoration and is beautifully finished with the delightful flower finial. 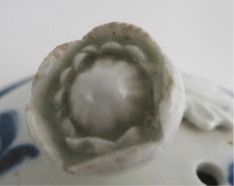 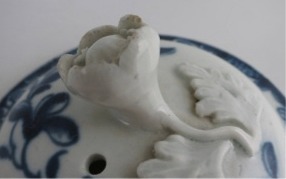 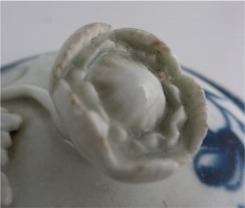 This flower finial is joined to the cover and has a stem from which are two moulded leaves. 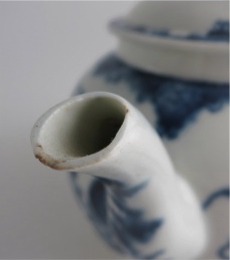 7" (180mm) from the tip of the spout to the back edge of the handle. 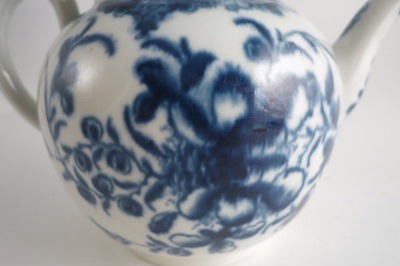 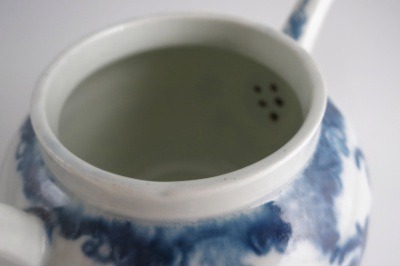 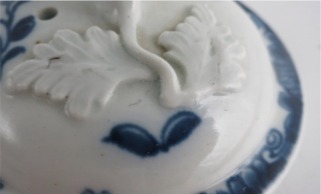 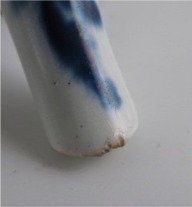 The flower finial has some nibbles to the tips of the petals and on the right hand side of the teapot the underglaze blue decoration is rather blurred where it has bled into the glaze during the firing process. 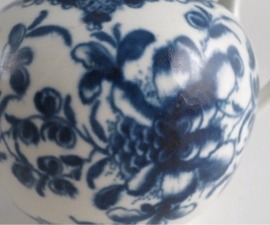 Description A delightful early First Period ('Dr. 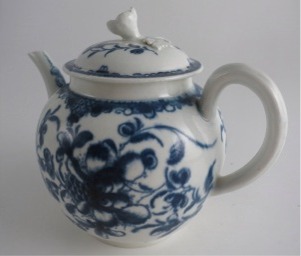 Wall period') Worcester Teapot and Cover with Flower Finial. 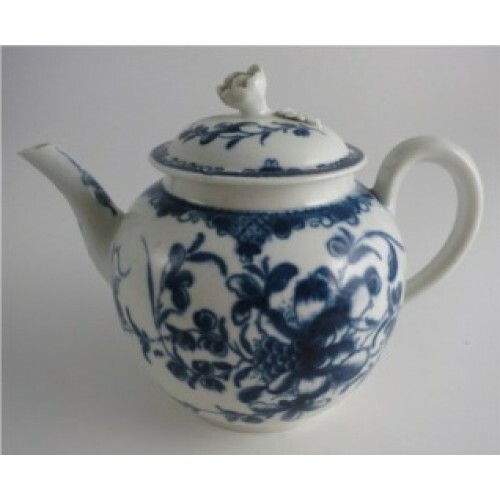 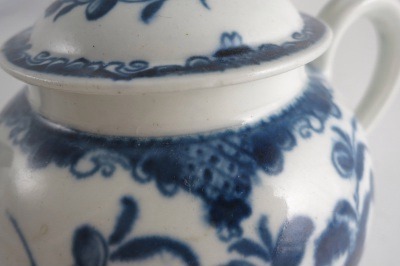 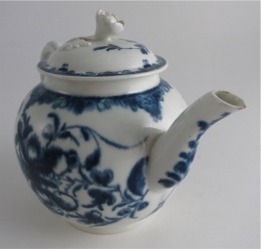 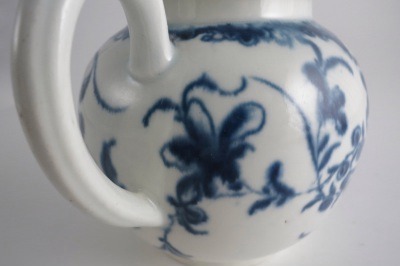 It is painted in underglaze blue with the pattern known as the 'Mansfield Pattern', c1765-75.